"Cyprus is a country steep in history, culture and tradition tempting its visitors to the island. Combined with the warm Cypriot hospitality, the island of Aphrodite, is brimming with appealing features for all to experience. " 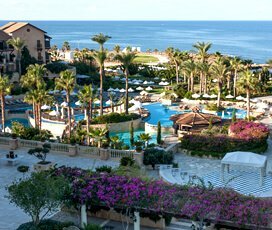 A stunningly beautiful Mediterranean island, Cyprus is one of the world's iconic beach holiday destinations. It combines miles of golden beaches, with beautiful azure waters. Travel inland, and you will find green hills, dense forests and the famous Troodos Mountain range, which gives Cyprus a natural diversity that is rare on an island of its size. Visitors will be greeted by a storied culture, and it has always been famous for the quality of the food and drink that is available on the island, from delicious local wines to a sizzling souvla. 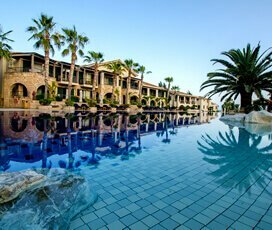 It is also a modern place, which provides all the facilities and amenities that you could want on holiday, from family-friendly activities to romantic dinners by the sea, there is something in Cyprus for everyone. In myth, it is the birthplace of the Greek goddess of beauty, Aphrodite, and once you see all the awe-inspiring sites it has to offer, such as the Kourion Archaeological site in Paphos or the Thalassa museum in Ayia Napa, to the glamorous Limassol marina, you will understand why it was the only place that the Greek Gods could choose. Cyprus is a large Mediterranean Island that is situated around 60 kilometres from the Turkish coast. It is a cultural, linguistic and physical crossroads, between Europe and Asia, meaning that it is a melting pot of different cultures and amazing sites. It is blessed with exceptional beaches, azure waters, imposing mountains, a host of underwater treasures and vast pine forests that contain a huge variety of flora and fauna. It is easy to reach and has two airports, one in Paphos and one in Larnaca. Thanks to its Mediterranean climate the summers are hot and dry (June to September), the winters mild (November to March), with relatively short Autumn and Spring periods, that are characterised by temperate weather (ranging between 15°C and 23°C). The summers are long and hot with average highs recorded in Nicosia of 37°C and slightly cooler temperatures, which range between 26-30°C in the coastal areas. The higher regions of the Troodos Mountain range have a slightly different climate, with colder winters and summer temperatures of 21°C. Cyprus has the ideal environment for those who want a great summer holiday, with little chance of rain and warm summer temperatures. With a rich and varied history, it is renowned since ancient times for its mineral wealth, natural beauty and strategic importance. In the Hellenistic period, it was the birthplace of Aphrodite, goddess of beauty and is the setting for many of the most famous stories involving her, including her first love affair with Adonis. However, Cyprus' strategic importance as a naval base in the Mediterranean also meant that it has had a turbulent history, filled with many conquests. Cyprus was then involved in many of the crucial events of ancient history, including being part of the Persian Empire and being involved in the wars of the successors, where Alexander the Great's generals battled to see who would succeed him. It remained a part of the Eastern Roman Empire for the next 1000 years, until it was taken by Richard the Lionheart during the crusades, eventually falling to the powerful Ottoman Empire as it spread across Turkey. Cyprus remained a part of the Ottoman empire until it was awarded to Britain in 1860, finally gaining its independence in 1960. It is a place of myth and legend, immersed in history, which every visitor is sure to find alluring and fascinating. Traditional Cypriot cuisine has been greatly influenced by the many cultures and traditions that it has been exposed to. Cypriot cuisine takes inspiration from a host of countries around the Mediterranean Sea resulting in a unique blend of tastes to suit every palate from the biggest meat-eaters to vegetarians. During your stay, we highly recommend taking a trip to one of the local tavernas to try either a meat or fish ‘Meze’. These traditional Cypriot feasts usually include a large selection of up to 25 dishes with small helpings of varied foods, brought to the table as a progression of tastes and textures, all representing incredible value for money. Other musts include slow-cooked lamb “Kleftiko”, a traditional potato/aubergine-based vegetable dish called Moussaka & for the vegetarians “Yemista” – vegetables stuffed generously with a wonderful mixture of rice, pine nuts, sultanas, garlic & parmesan cheese. Summer in Cyprus is perfect for family holidays with lots to see and do. Your children will love the supervised mini-clubs operated at many of our hotels and apartments. They have fun – whilst you relax. A family-friendly country, the island has plenty of exciting activities available at the various resorts and destinations dotted around. 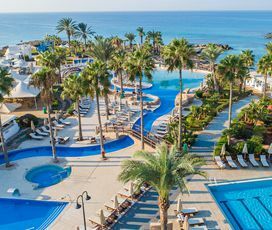 There are a host of exciting waterparks, which provide aquatic fun that people of all ages can enjoy: from the Super Aphrodite Park in Paphos to the Watermania Park in Limassol. It also offers a large variety of educational activities, including zoos in Paphos and Limassol, and an aquarium with over 1,000 species of marine life in Ayia Napa. The coastal areas are especially good for people with children and there are a huge variety of watersports and other activities that can be enjoyed on Cyprus' golden sands and azure blue waters. Check out Cyplon’s “Family Treats” section of the “Added Value” panel for our children’s special offers, which include Free accommodation, and discounts. and we haven’t forgotten single parents – we’ve great offers for you too. 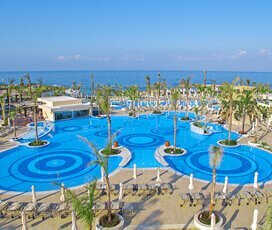 You’ll see there’s so much for all the family in Cyprus with Cyplon. As a destination, Cyprus is a tourist hub, meaning that there are a vast array of different tours and attractions on offer. On the many beaches, visitors will find plenty of watersports, diving and boat-hire companies, allowing them to experience all the magic that the Mediterranean Sea has to offer. Inland, there are particular highlights, such as the many national parks, including Troodos, Cape Greco and the Akamas Peninsular, which provides a diverse range of nature that will excite and delight in equal measure. No matter which part of the island you visit, there are a host of different activities, both modern and old-fashioned, ensuring that everyone will have an exceptional time there. As a historic country, Cyprus has a wide-range of different festivals, which can be enjoyed throughout the year. Carnival Weekend in March, is particularly good in Limassol with its delightful street parades and fancy dress parties.Easter is of particular importance, within the Orthodox Church, and a variety of parades and carnivals can be enjoyed at the beginning of Lent and during Easter itself. Fifty days after Easter, the whole country comes together to celebrate ‘Kataklysmos' (The Festival of the Flood), where aquatic games are played at every harbour. In September, you can enjoy the Limassol wine festival, the Paphos Aphrodite that offers operatic cultural events and a host of other festivals that feature traditional dancing and singing throughout the summer months. Christmas and New Year in Cyprus is very festive, with pretty street decorations and great parties in most of the hotels. There is a variety of shopping options sure to appeal to all visitors: from international names, in large resorts like Paphos and Limassol, to more localised shops in quieter places like Polis and Pissouri. The country is especially famous for its jewellery, lace, pottery and food products, with authentic items available throughout the island. When in Paphos visit the King’s Avenue Shopping Mall, where you can find designer labels and international high street brands. The beautiful island's nightlife is some of the best in world. Whether it be a traditional vibe you are after with Cypriot music and dancing, or a trendy nightclub, Cyprus is able to cater to all tastes. Paphos has its own dedicated Bar Street with a range of bars and restaurants whilst Limassol offers the greatest range of places to go. Ayia Napa provides the liveliest night scene and is the place to be for any music lovers! Immerse yourself in one of the many haute-luxury spas you can find in Cyprus and Greece. You don’t need an excuse or a reason to treat yourself to this level of quality pampering. Simply indulge and you will leave your destination with a guaranteed million dollar glow. Whilst the quality spas hotels in Cyprus and Greece offer all the latest treatments and most modern and innovative product lines, many spas also offer treatments based on ancient traditions and teachings and products from the earth that have been used for such purposes for centuries, including olive oil, yoghurt and honey. Packages are available upon enquiry. Teeing off in the sunshine of Cyprus is an experience like no other. With a year-round sunny climate, stunning views of the Mediterranean Sea, mountains and the beautiful shoreline, a golf holiday in Cyprus will tick all the boxes. Here at Cyplon Holidays, we have gathered only the most elegant resorts within easy proximity of the world-class courses in this region. Whether you’re a scratch golfer looking to add a world-class course to your list or a beginner that wants to enjoy a round in a pristine natural setting, we can match you with a course that fits your skill and preferences. Discover the joyous mountains and off-the-beaten track Cypriot villages by hiring a car gives you the freedom to explore Cyprus at your leisure. Visit the different towns, discover remote beaches, have family fun days out or drive up into the cool pine scented Troodos Mountains and experience the tranquillity and the beauty of the fantastic panoramic views. Mix and mingle with the locals in one of many picturesque villages to be found en route or just unwind. Cyprus has tremendous history, with lots of places of interest to visit. These places may only be accessible by car so don’t miss the chance. Are sunbathing and relaxation your top priorities on holiday? 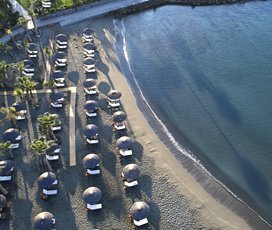 Look no further than our Cyprus beach holidays. 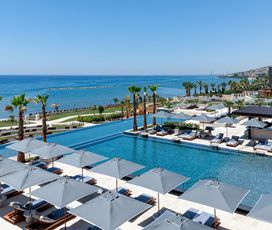 Cyprus offers arguably the best climate and setting for a perfect Mediterranean beach holiday, and we have hand picked resorts that will cater to your every desire. 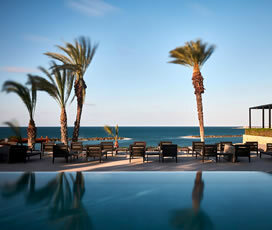 Cyplon would love to help you create an ideal, relaxing beach side holiday in Cyprus. Among Cypriots traditional Brandy and Zivania are of the most popular drinks on the island. The second popular drink is beer with KEO beer the local specialty. Cyprus was one of the first producers of wine, going back millennia and the oldest wine on the island in continuous production is a desert wine called Commandaria. Cyprus also has a tradition of brandy production, with production by various Limassol-based distilleries since 1871. Cypriot brandy is commonly drank with meze dishes, and forms the base for the distinctive Brandy Sour, developed on the island in the late 1930s. 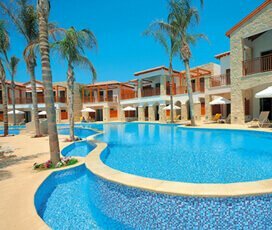 Luxury Holidays in Cyprus . 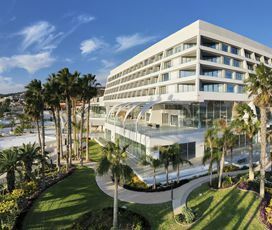 All Inclusive Holidays in Cyprus . Adult Only Holidays in Cyprus . Beach Holidays in Cyprus . 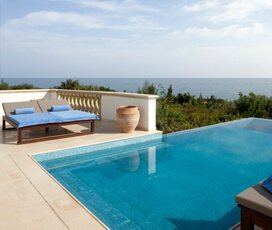 Boutique Holidays in Cyprus . City Breaks Holidays in Cyprus . Family Holidays in Cyprus . Golf Holidays in Cyprus . 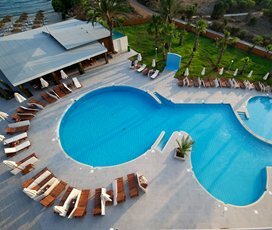 Romantic Holidays in Cyprus . 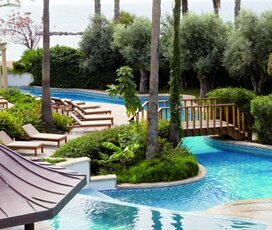 Spa Holidays in Cyprus . Group Holidays in Cyprus . Self Catering Holidays in Cyprus . Weddings Holidays in Cyprus .